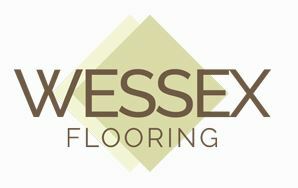 Wessex Flooring Ltd - Carpets/Flooring based in Castledown Road, Wiltshire. Wessex flooring Ltd was formed by Pete and Carol Snelgrove after an amassed 45 years’ experience in the flooring trade. Our emphasis is on quality of service and workmanship leading to trouble free installations. We have a complete knowledge of flooring expertise ranging from working on luxury cruise ships, hotels, schools and colleges, laboratories and offices. Our ability to carry out work with the minimum of fuss makes us a popular choice for working in care homes and hospitals where a quick turnaround is needed. We operate across the south (Hampshire, Berkshire, Surrey, Sussex, Wiltshire, Dorset and surrounding areas). A lot of our business is trade (contract). We offer a free, no obligation, site survey and quotation service. We value our customers highly and as our slogan states 'we want to get under your feet'. Counties of Hampshire, Berkshire, Surrey, Sussex, Wiltshire, Dorset, Somerset and surrounding areas.